Trionfo da tavola commissioned in 1803 by the Spanish Ambassador to the Pontifical State (Rome), now at the Parma National Gallery. 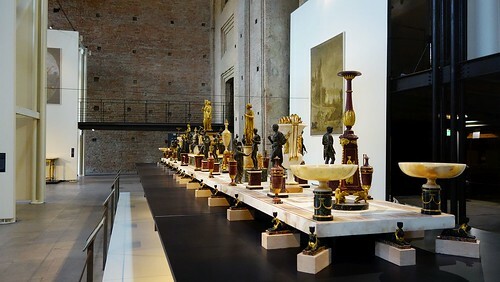 A "trionfo da tavola" is a sculpture or, as in this case, a set of sculpted objects intended to decorate a banquet table. 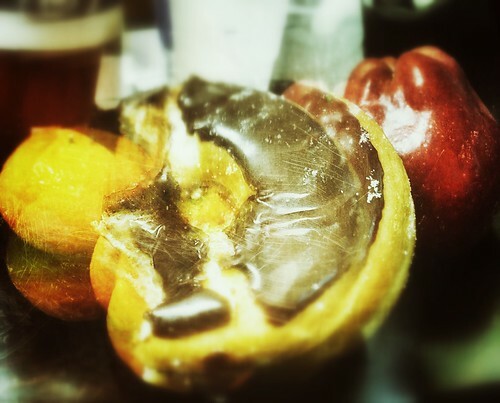 Yes fruits a donuts mix. Processed on my iPhone4, using Autostitch, Snapseed and uploaded via the Flickr app.